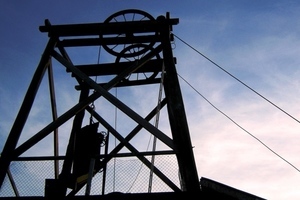 Shale mining could be a dangerous occupation. In 1895 the Fatal Accidents Inquiry (Scotland) Act was introduced, which allowed for public inquiries into industrial accidents resulting in a death. Although the records were created as a result of sad events, they can help us to find out more about ancestors who were involved in the accidents. For a shale worker killed in a work-related accident after 1895, the records of these public inquiries can provided valuable information not only about the circumstances of the death. The names and testimony of the witnesses can also place other people in a particular place at a particular time, helping to expand your Scottish genealogy research. Let's use a Dalmeny shale miner named Robert Aitken as an example. Robert Aitken, one of the miners listed in Scottish Kin’s Dalmeny Shale database, originally worked as a coal miner in Cranston, Midlothian. He married Christina Kennedy there in 1873, but by 1881 Robert had become a shale miner and the family had moved to Dalmeny Rows at cottage 16 (possibly 16 Stone Row). Robert, Christina and their two daughters lived at 10 Church Row from 1885 to 1887, before moving to Broxburn where their son Sinclair Aitken was born in 1888. By 1890 the family was back in Dalmeny. The details of the Fatal Accident Inquiry report held on 27 November 1895 in Linlithgow can tell us more about Robert’s death and the other people who were working in the area at the time. On the morning of Friday 4th October 1895, Robert Aitken went to work with John Connelly at “Scott’s Brae” in the no. 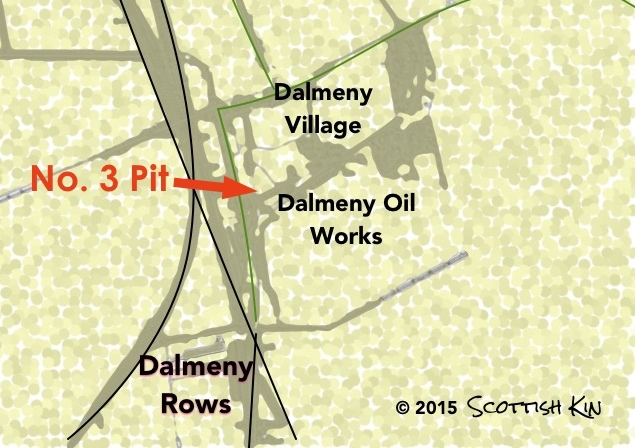 3 pit at the Dalmeny shale mines. He had recently been working in the area known as “Curly Seam” and this was his first morning at Scott’s Brae for some time. Although the roof was heavily supported and no fresh work had been done that morning, at about 9 o’clock a stone fell from the roof, hitting Robert on the back and catching John on the head. John Hood, the pair’s drawer (responsible for moving the extracted shale from the face to the shaft), Peter Scott and James Porteous came to help, and William Pollock Prentice, the mine manager, was called for. It was thought that the stone fell from an area of two “lipes”, irregularities in the shale seam, and couldn’t have been predicted. He was initially taken home, but Dr Bentley, the doctor for the works, immediately sent Robert to the Edinburgh Infirmary when he saw him. His internal injuries were severe and Robert died at the Infirmary on 22 October 1895. The jury unanimously found Robert’s death to have been caused by the stone falling on him. Christina, Robert’s wife, continued to live at 4 Stone Row until 1897, but then moved with her family to Edinburgh where she worked as a sick nurse. Her son, Sinclair Aitken, served with the Northumberland Fusiliers in the First World War, dying on 27 April 1917. His two cousins, also named Sinclair Aitken, were also killed during the War. The Fatal Accident Inquiry records after 1895 are held by the National Records of Scotland, Edinburgh - or at least those that survive. They are also catalogued individually, making it easier to find out if there is a record that can help your Scottish family history research. The records themselves aren’t available online, but Scottish Kin’s archive research service may be able to help! Fatal accident inquiry for Robert Aitken SC41/13/1895/7. / Marriages (CR) Scotland. Cranston, Midlothian. 1873. 680/00 0004. / Deaths (CR) Scotland. Edinburgh St Giles. 1895. Aitken, Robert. 685/04 1120. / 1881 & 1901 Scotland census. / CWGC. Sinclair Aitken. 48462. 9th Bn, Northumberland Fusiliers.